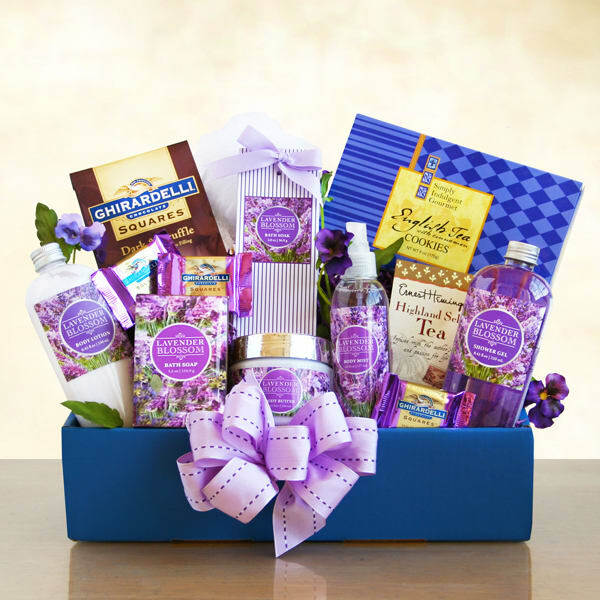 Let these Lavender Box express your feelings of sympathy. Lavender scents that soothe the soul compliment the body lotion, shower gel, moisturizing bath bar, body butter and body mist. Also included are a loofah, Hemingway tea, English tea cookies and a Ghirardelli chocolate bar.